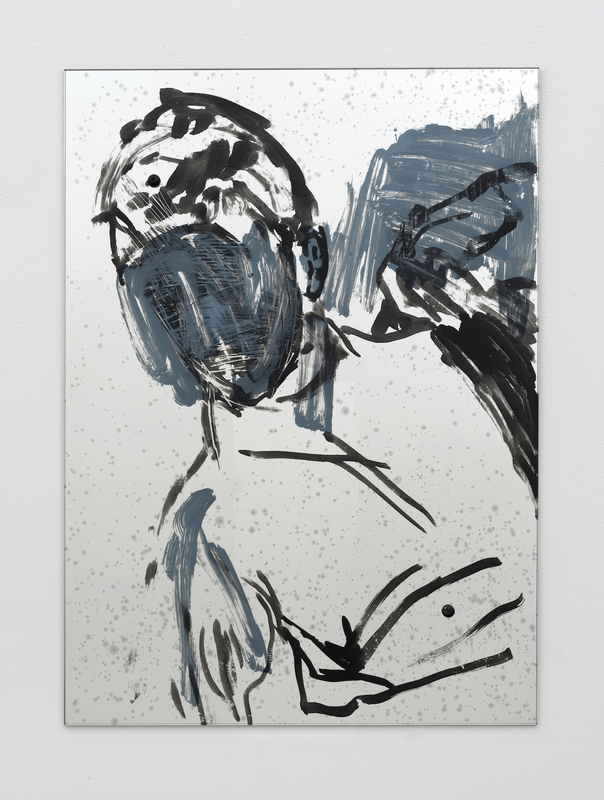 There is a frenetic energy to the work of American artist Nick Mauss, whose drawings, sculptures, performances, and installations often exceed their own boundaries. Combining abstract mark-making, figuration, and the erasure of both, Mauss’s drawings seem to move beyond themselves to interrogate the limits and divisions of real versus illustrated space. At times this outward movement is rather literal—a work placed inside a gallery doorway may replicate the space it occupies through wavering lines and bright colors, or it may take shape as a meandering line cutting through the gallery’s open spaces. Mauss’s works often look unfinished, his drawings ever at the phase of the sketch, his segments as if they may uproot and reorient themselves at any moment. Caught in this perpetual sort of unresolved action, his works revel in ambiguity and indeterminacy.